IESE professor Pascual Berrone on why companies need to rethink their approach to sustainability. 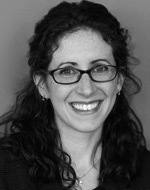 Carnegie Mellon professor Taya Cohen explains the connection between moral character and workplace performance. Rotman School assistant professor Laura Doering explores the intersection of economic development and human nature. Is Diversity in the Boardroom Reversing? A new study on gender and ethnic diversity in corporate governance sets off alarms. The IMD professor describes how the accelerating pace of technological change puts new pressures on established companies. Journalist Dan Ackerman untangles the complicated history of one of the world’s most popular video games. Kellogg’s Maryam Kouchaki on understanding — and avoiding — ethical breakdowns. Debates over paid leave, wage increases, and flexible work arrangements, says the MIT professor, all stem from a larger assumption that personal and business needs are in conflict. The professor at Vanderbilt’s Owen Graduate School of Management explains the root of unethical behavior. The Darden School of Business professor describes a new framework for predicting conflict outcomes. A look at some of the best blog posts that we published in 2014. The Stanford professor explains how social distance affects the way people respond to feedback. A new study explains what’s holding them back, and how they can move forward. A psychologist and new MacArthur Fellow says you need employees with stamina and tenacity above all else. Are You Making the Right Moves in China? Three new studies reveal insight into the Chinese consumer market and business environment. For Twitter’s next chapter, some words of wisdom about leadership planning. How the science of social transmission will help your brand catch on—and why tweeting alone is not enough. Digitization will enhance the customer experience, and can save banks up to 30 percent. Entrepreneur Jim McCarthy on why online innovations succeed — or fail. A leading solar energy policy advocate explains how this dynamic, rapidly maturing industry can reach its true potential. Council on Foreign Relations fellow Adam Segal decodes the rise of innovation in China and India — and what it really means for the United States. Francois Nader, CEO of NPS Pharmaceuticals, describes how a new model for biotech brought his company back from the brink. Scientist and scholar Raghunath Mashelkar explains a new model of innovation from India that benefits the world’s poor.